Features: Hardcover, Dust Jacket, 80 pages, 24 illustrations, full color. Operating in the hybrid zone between sculpture, craft, miniature making, and conceptual art, Matteo Bittanti creates seven self-portraits that simultaneously appropriate and reconfigure a peculiar medium, toy cars. 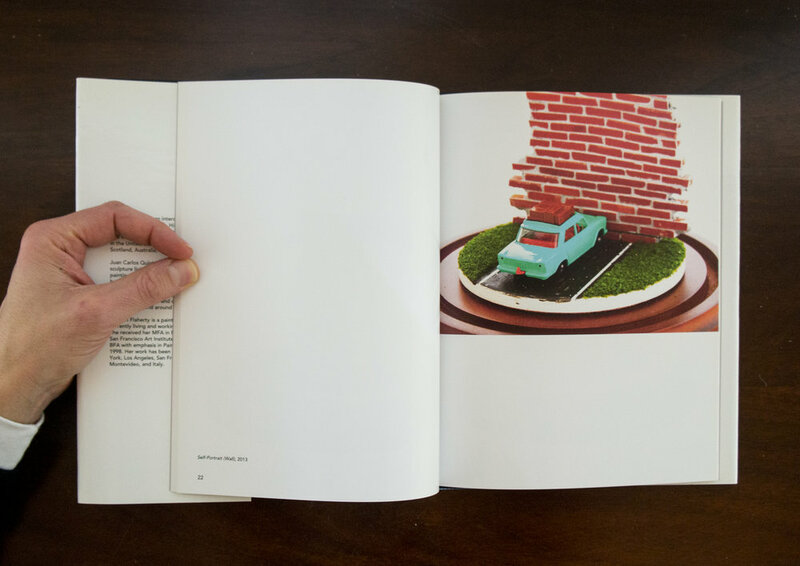 This limited edition book provides a visual and critical documentation of SMALLER THAN LIFE. It features Colleen Flaherty's photographs and a long conversation between Bittanti and Juan Carlos Quintana. Matteo Bittanti is an interdisciplinary artist based in San Francisco. His interventions lie at the intersection of videogames, toys, cinema, and the web. His works have been presented in the United States, Canada, England, Scotland, Australia, France, and Italy. Juan Carlos Quintana is a painter and a sculptor living in Oakland, California. His paintings explore issues related to identity, both political and personal. Taking iconography from his American and Cuban background, Quintana uses political cartoons, popular comic strips, and children books to explore the world around him. Colleen Flaherty is a painter and sculptor currently living and working in San Francisco. She received her MFA in Painting from the San Francisco Art Institute in 2002 and her BFA in Painting and Music from San Jose State University in 1998. Flaherty's work has been presented in New York, Los Angeles, San Francisco, Oakland, Montevideo, Uruguay, and Pienza, Italy.